Last Night is Free on Amazon…Really! That’s right. It’s really free. Help get Last Night to #1 by telling everyone you know about it and downloading it. You don’t even need a Kindle reader to do it. You can use the Kindle computer reader or even the cloud reader. Just download! Download! Download!. Unfortunately, each account can only download it one time each so please do what you can to spread the word. When I mean free, I don’t mean free after some dumb rebate or anything like that . I mean free as in completely 100% free. No delivery costs, no extra stuff to do. Just go to Amazon, look up the book, click order, you will see where it says FREE and then just like that it will give you the option of where to have it sent. Again, you can have it sent to a Kindle device, the cloud reader, or the kindle for computer reader. Heck, there are even Apps for devices like iPads, iPhones, and Androids out there as well. It’s not a very long read either. It’s all of 17 pages so it’s short and sweet. I’ve gotten great reviews from scholars and a couple of hate reviews from trolls so you know it’s good stuff. For a shortcut to book, you can click here. Once you read it, make sure you got back and give it a review if you have time or at least a big “Thumbs up!” so people will be encouraged to check it out! You can also visit the Facebook event by clicking here. 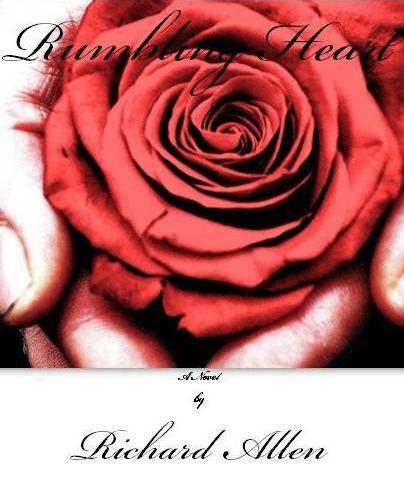 Thank you all for your continued support of my work and once the Rumbling Heart Series is ready to come back, I will work on trying to get those free on Amazon as well. I just want to take a moment to thank all of my Twitter and Facebook followers and fans. Because of your continued support, I have cracked the top 50 on Smashwords.com. Of all the authors up there, as of this moment I am currently #42 most popular / viewed which is a terrific achievement. Hopefully, we can keep it going. It would be amazing to crack not only the top 10, but maybe even become #1. Be sure to tell all your friends about the free work I offer there which include copies of the original Rumbling Heart as well as Recorded Butterflies which is the 2nd book in the series. 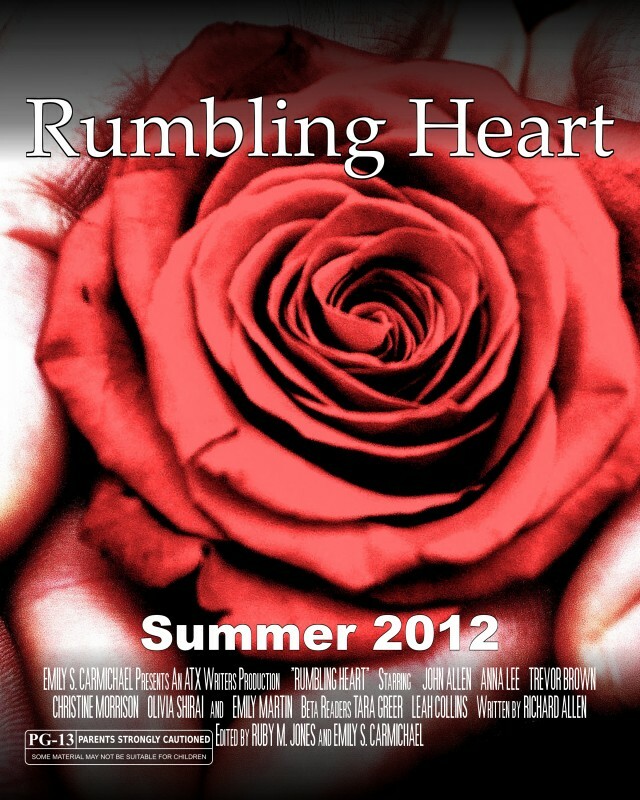 There is also a new short on Smashwords as well called On The Way Home which is written by one of the RH characters. Its sort of a tiny peek into what you might expect to see from the 4th and final installment in the RH series. 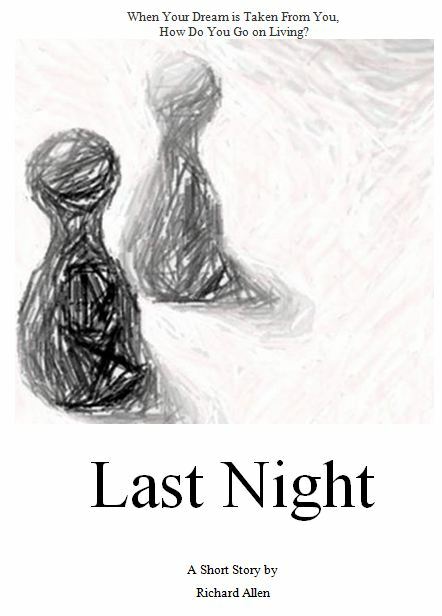 One additional work on there is a short called Last Night about a struggling writer and a conversation he shares with an ex athlete. While it may not seem like much in the first few pages, by the end, you will find yourself questioning not only the narrator, but also the decision that he makes regarding his friend. You will either nod your head or be completely shocked. At about 5600 words, it’s a short read and it’s free so be sure to give it a look. Ty all again for the continued support and I hope to keep you all entertained. I’ve moved up in ranking, currently sitting pretty at #12. Top 10? Let’s hope for it! That’s right. The one that started it all is now free on Smashwords.com. The direct link to the book is right here. I would greatly appreciate it if you were to download the book for free to please also let Amazon know that my book is going for $0.00 on Smashwords so that it could possibly be lowered to Zero on their site as well. My writing pal Melissa Foster just had massive success when she offered her book for free and since then, it has hit #1 on the Kindle book lists. It would be amazing to be able to do the same thing with my work. 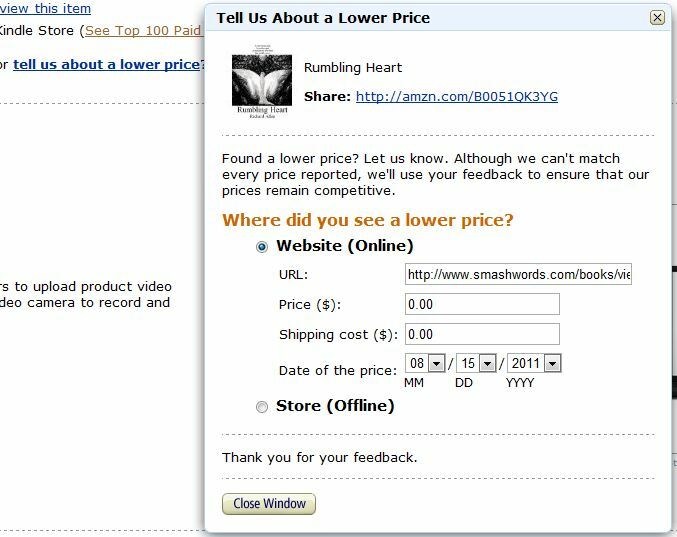 You may be wondering how exactly to let Amazon know that the book is free elsewhere. Here’s what you do. Check out the book on Amazon here. Scroll down to where is says Product Details and there, you will see a link that says “Tell us about a lower price.” Click it. Then, just fill out the data it asks for which is not much. There small window you will see will look like this. And that’s it! Enjoy the book. I enjoyed writing it. Feel free to let everyone know and I look forward to seeing your reviews on Amazon. Thank you again for all the support. This is a response to a blog post I read regarding privacy and how much of it you should keep. The blog post started out talking about sales numbers, but also dove into personal privacy as well. You can read the original post by Tamworth Grice here. I recently had the opportunity to speak with the author of the Horror/Suspense novel Listening to Ian Magick and the soon to be released Nasty Disposition, Tamworth Grice. 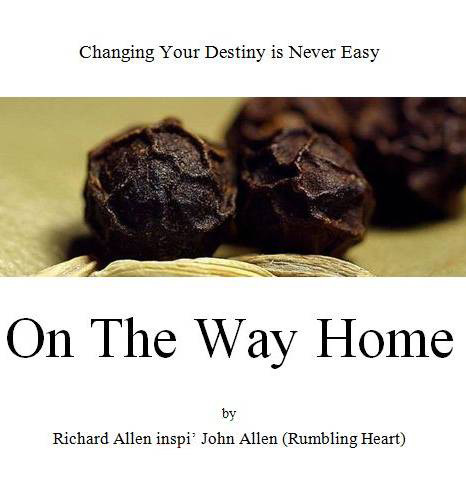 Richard Allen: How did you get started in writing? Was there any particular reason why you got into it? Tamworth Grice: I’ve been writing fiction since grade school. I think it’s because I was read to twice a day (on waking and at bedtime) from the day I was brought home from the hospital. I was read the classics: Heidi, Black Beauty, Alice in Wonderland, Aesop’s Fables, etc. If it wasn’t at least 100 years old, it didn’t get read to me. I really loved Aesop’s Fables! And the Fables were the first things I imitated. One Saturday in second grade I stayed inside writing a short story about a talking lion instead of going outside to play with my friends. After that, I moved on to other genres. TG: I read an article about how Ozzy Osbourne was sued by a father whose son committed suicide; the father claimed one of Ozzy’s songs encouraged the poor kid to shoot himself. And for years there’ve been these rumors that if you play certain songs backward you hear words like, “Hail Satan.” I was intrigued by the idea that a rock singer could be a kind of cult leader and exercise mind control on fans through music. I thought, “What if a rock star could manipulate his fans, via subliminal messages in his music, to kill people?” And that’s how I came to write the book. RA: In the story, the protagonist goes through what seems to be typical teenage issues such as being picked on. Were some of those instances taken from real life? TG: Yes. I was bullied at school. RA: Do you feel that your main character is similar to you in a way? If so, how? TG: She’s similar to the way I was in high school, because like her, I was an underdog and an outsider, and like her, I had no adults I could turn to. That’s why I have so much empathy for people like Chelsea, my main character. RA: The style you employ seems to be simpler in nature and more to the point. Is this your typical writing style or was this something you brought out while looking to channel the mind of a teenager as they move into adulthood? TG: Both. I’m a fan of that “less-is-more” Hemingway-esque prose of the hard-boiled detective fiction authors, like Raymond Chandler and Robert Parker. And I think a simple style is better than a complicated one to show the point of view of a teenager. I also think a simple writing style lends itself nicely to ebooks. I know when I read something on my Kindle, I really like short chapters and an uncomplicated writing style, because often when I’m reading I’m pressed for time, so it’s easier to stop reading and start again without getting lost if the chapters are short. And if I’m reading in the middle of distractions, like while waiting at the dentist’s office, a simple style is easier to focus on. RA: Do you have any literary influences such as other authors or poets? Do you feel they have affected your style of writing and what you choose to write about? TG: I’ve already mentioned Hemingway, Chandler, and Parker. And I love Elmore Leonard. He’s probably the best writer around. In terms of subject matter, I’m inspired by the successes of Stephen King, Anne Rice, J.K. Rowling, and Amanda Hocking, although I don’t think I’m influenced by their style. RA: How do you feel about the reception you received with regard to your “Ian Magick” book? Good? Bad? Somewhere in the middle? TG: I feel great about being able to publish the book and to reach out to people electronically. Indie publishing is one of the best things that’s happened for authors since the invention of the printing press! I’ve gotten an overwhelmingly positive reception to the book, and a lot of people have said they couldn’t put it down, which of course is wonderful to hear. RA: Your character listens to her music player quite often. If this a habit of yours? Do you listen to specific pieces of music while writing? TG: I love music. I was obsessed with popular music when I was a teenager (like most teens!). In college I expanded my horizons and got into classical music and opera. Then I got my hands on some old 78 RPM jazz and blues records—by people like Glenn Miller, Bessie Smith, and Louis Armstrong—and I bought a special record player and listened to those. When I write I can’t listen to music because I focus on the music and that distracts me. Instead, I listen to talk radio, even though I don’t always agree with the host’s point of view. For some reason, I like having a human voice in the background, and my brain more easily tunes out a talk radio host than music. RA: The closing of Borders Book store has recently been in the news. 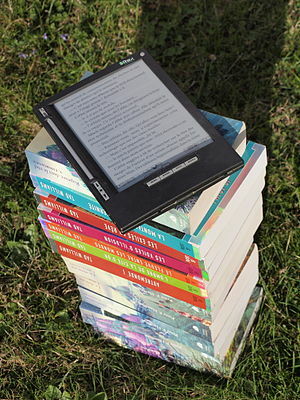 Many attribute their fall to eBooks and the availability of material through sites like Amazon, Smashwords, and Barnes and Noble. Do you think they are only the first major chain to fall? TG: I absolutely believe their fall is due to ebooks and sites like Amazon, Smashwords, and Barnes and Noble. Borders didn’t change with the times, and so the company went the way of the dinosaurs—which is what happens when you don’t change and keep up. I heard someone on the radio say Borders was still operating in 2011 with a pre-Internet 1990s business model, and I think that’s true. Why its executives didn’t follow the lead of Barnes and Noble and get into ebooks is a mystery to me. Meanwhile, I hear Kindle ebooks are outselling Nook ebooks by 4 or 5 to 1, so maybe Barnes and Noble got into (Electronic Publishing) too late? But meanwhile, there are lots of small indie bookstores that, due to very loyal customer bases, are still around. They managed to survive the onslaught of giant chains like Barnes & Noble and Waldenbooks in the years since, say, 1990, and now they might eventually outlive them—and good for them! However, I feel terrible that all those people at Borders lost their jobs, especially the people who worked for low wages in the stores. RA: Do you feel recent trends in the way books are written and produced has changed the literary landscape at all? Do you think more people publishing independently has led to a lower quality of material available? TG: No. I think the opposite. I think a higher quality of work is now available. For many years agents and publishers had total control, and they choose to represent and publish a lot of crap while dismissing the work of some great writers. The agents and publishers played it safe; they went with the trends, rather than with what was good; and it seems they sometimes closed ranks against writers who were talented and innovative. Amanda Hocking is a prime example—she couldn’t get an agent or a publisher, yet she proved her value when she self-published and made a million bucks. Now talented writers who’ve been rejected by the publishing establishment are (Self-Publishing), often for 99¢ per book. These lower prices mean that readers also benefit. So it’s win-win for everyone but the publishing establishment, which no longer has the power it once had. And agents and publishers are scared. As well they should be. Because they’re no longer needed. RA: What other genres of literary work have you attempted besides Horror / Suspense? Do you also try other types such as poetry or true shorty story? TG: I so don’t get how to write poetry! I also don’t write really short or “flash” fiction. I tried to write an erotica story because there’s such a great market for the genre, but my story was terrible, and I gave it to another writer to finish. However, I’m coming out next month with the first of two nonfiction history books about Ancient Rome. And I just published a short story called “A Tale of Zombies in Czarist Russia.” I also write screenplays. RA: What are you currently working on now and when should we expect it? TG: My book Awesome Ancient Rome: The Republic should be out in August, as will my next novel, Nasty Disposition, about a 23-year-old Goth chick. I’m expanding a vampire short story I wrote a few months ago, and I hope to publish it soon. Two other projects in the works are a gory serial-killer novel set in New England, and a supernatural horror thriller that takes place in New York in 1900. RA: Monkey house or the Tiger exhibit? RA: Anything else you’d like to add? TG: I’d like to encourage anyone who’s thinking about self-publishing to do it! I’d like to thank you for this interview. And I want to thank anyone who has bought my books, and all the people who have so kindly encouraged me, especially my blog readers and my many friends on Twitter. Thanks again! Be sure to check out Tamworth’s blog which includes details about all her works and definitely follow her on twitter!